Check out the best online courses for learning Java design patterns. Today, we'll talk about design patterns and some of the best online courses to learn design patterns in Java. 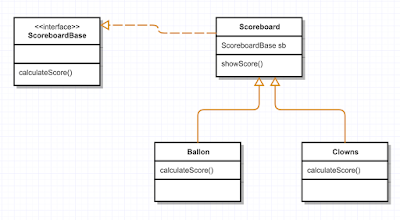 If you are wondering what a design pattern is and why Java developers should learn them, then let me give you a brief overview. In simple terms, design patterns are nothing but a tried-and-tested solution to common programming problems, for example, the creational design patterns deal with the problems of object creation. They have existed for a long time but made popular by famous Gang of Four of Erich Gamma, John Vlissides, Ralph Johnson, and Richard Helm in their classic 1994 book Design Patterns: Elements of Reusable Object-Oriented Software, also known as GOF design patterns. This book documented 24 design patterns that are reusable to solve common programming problems. The benefit of design patterns are immortal; you will find them in many frameworks, libraries, and in-built programming languages. You probably use them on a daily basis, even if you don't realize they are there. For example, the JDK uses several GOF design patterns, e.g. Decorator is used in IO classes, Strategy is used along with Comparable and Comparator, and so on. The knowledge of OOP design principles and GOF design patterns are very important for Java developers because it enables them to write better code. It is also important from the interview perspective, where interviewer often judges experienced Java developers with their knowledge of design patterns. I have been sharing a lot of programming resources recently, e.g. free books and courses on Java, Python, Git, Eclipse, and even DevOps tools like Jenkins and Maven. If you are new here, you can find them by doing a quick search using Google's custom search box at the top-right corner of the page. Today, I'll share some of the best online courses to learn Design patterns from scratch. These courses are not free but not very expensive either. You can buy them in the Udemy's flash sale for just $10.99 and sometimes even lower at just $9.99. I have already bought over 50 courses on Node JS, Spring, Kotlin, DevOps, BigData, Java 9, and Android on Udemy's last sale. Most of these courses will not only explain to you how these design patterns work and what problems they solved but also how to use them in the real world. 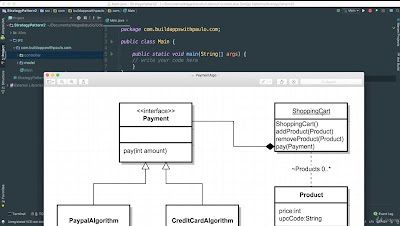 For example, I really like the example of using the Strategy pattern for designing a payment system on Paulo Dichone's Java Design Patterns MasterClass. Some of the courses also explain basic OOP design principles that are the basic building blocks of design patterns, like SOLID principles, Single Responsibility principle, Open-Closed design principle, Liskov Substitution, Inversion of Control, dependency injection, etc. Apart from these, they also cover some of the less popular but still useful principles like Law of Demeter and Delegation principles. This is one of the best courses to learn the design pattern in Java. It will teach you how to write better software by understanding common problems and applying design patterns for a better solution. This course will teach you more than 20+ design patterns from the classic design pattern book by Gang of Four, which is considered the Holy Bible on the subject. For each pattern, a clear example is given to understand the problem the pattern will solve, as well as its advantages and disadvantages. You will be able to practically understand how the pattern works with the detailed included Java lessons. After completing the course, you should be able to identify common problems in your code, apply the correct design pattern, and implement a better object-oriented solution that is a lot more maintainable and readable. This is another great course to learn design patterns in Java. It not only covers the GOF patterns like Command, Decorator, Adapter, Strategy, Proxy, Chain of Responsibility, and Interpreter end, but it also covers the famous SOLID design principles, which form the basis of design patterns. This is also a very hands-on course where the author will show you how to implement a particular design pattern live on IntelliJ IDEA. 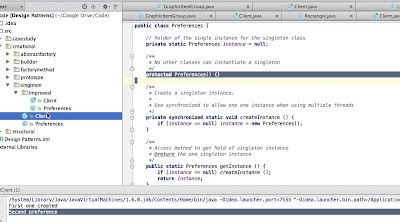 Most demos are also a single-file, so you can also download the file attached to the lesson and run it in IntelliJ IDEA, Eclipse, NetBeans, or another IDE of your choice. Overall, this is a complete course to learn all 24 GOF patterns and SOLID design principles for writing better code. This course is your guide to create smart, reusable software with SOLID principles and design patterns in Java. The course is divided into two parts; in the first part, the author talks about SOLID design principles, e.g. Single Responsibility, Open-Closed, Liskov Substitution, etc. and how they help you to write better code. 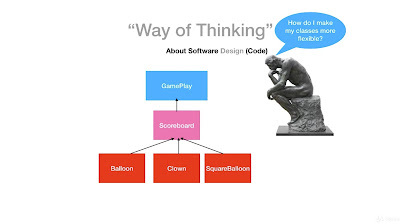 In the second part, he talks about design patterns and how they solve common problems. In order to use design patterns, you should be able to identify the problem and understand which pattern can help you — that's where this course excels. In short, a good course to cover the basics of software design, architecture, and design patterns in Java for writing better code. This one is a rather new course from Paulo Dichone, who has written a couple bestselling Java and Android courses, e.g. Java 9 MasterClass, which I have recently taken myself to better understand Java 9 features. In this course, he tackles the topic of GOF design patterns and has done a really good job of explaining how each pattern works and how you can use them in your code. His examples are from the real world and very relevant, which helps to grasp the concepts. For example, using the strategy pattern to implement a payment processing engine is a great idea because you need to process payment in a different form, e.g. cash, credit card, coupons, Bitcoins, or maybe even something else. In short, this is a great course for experienced Java developers that want to learn more about GOF design patterns, like Visitor, Adapter, and Decorator. This is another comprehensive course to learn 24 object-oriented design patterns from the famous GoF book. The instructors are very knowledgeable and have working experience in Google and investment banks. They understand that design patterns are not inherently trivial at first glance and make the effort to break things down in a way that is easily understandable. Like the first two courses, this one also covers OOP design principles as well as design patterns. In short, this is a great course to start with Java design patterns and learn all 24 patterns that allow you to write better code. That's all for now on some of the best online training courses to learn Java Design patterns. These courses are a great way to boost your understanding of object-oriented design and tried-and-tested GOF patterns. After completing these courses, you know what those patterns mean and when can you use them to create better code. It will also help you to communicate your ideas to your team and fellow coders. Thanks for reading this article so far! If you like these Java design pattern courses, then please share with your friends and colleagues. If you have any questions or feedback, then please drop a note below.